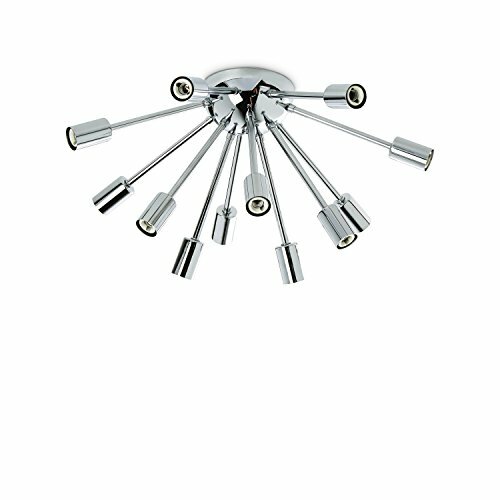 Description: One 12-socket chrome ceiling fixture with matching stem and canopy. 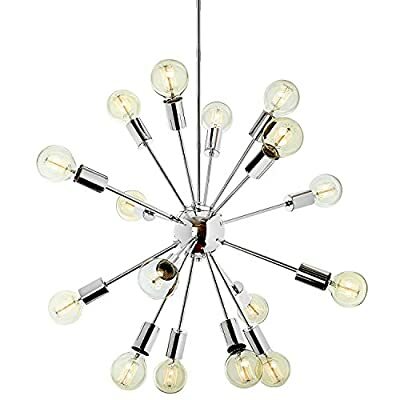 A perfect way to add a contemporary addition to any space. Additional information: E26 socket, 40W // 120V MAX per bulb (Recommended: 40 Watts per Socket x 16 Sockets). Bulbs are not included. 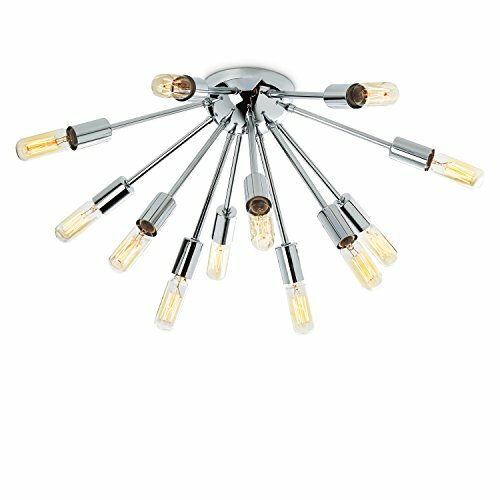 We would recommend using Brooklyn Bulb Co's Bulbs. We've featured our classic vintage-styled Williamsburg T14 bulb (ASIN: B00JG0PPK0) to enhance this fixtures vintage appeal. 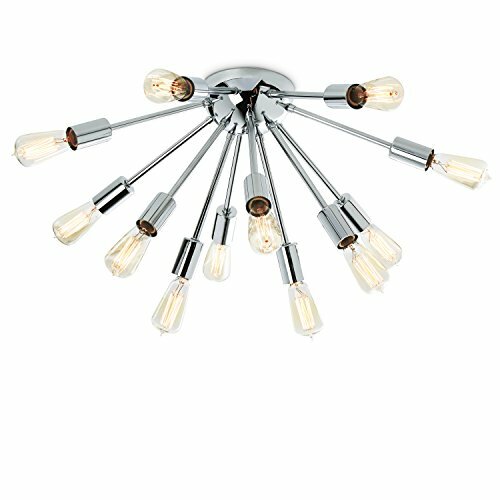 Dimensions: Pendant Diameter: 16" D. Canopy Dimensions: 5"D x 1"H Product Specifications: Includes sloped ceiling adapter. Hardwired (Installation required). Each pendants stem is comprised of one 6", two 12", one 18" twist-off segments for simple height adjustments. The adjustable rod and included sloped ceiling adapter allow for faster and easier height adjustments to accomodate your space.